At GRinfranet the process of cabling is carried out in an orderly manner, after thoroughly understanding the requirements and being within the stipulated time frames. Structured cabling is building or campus telecommunications cabling infrastructure which consists of a number of standardized smaller elements (hence structured) called subsystems. Structured cabling solutions of GRinfranet towards the system of wiring used by us that facilitates easy transmission of data and information across various platforms. The effective cabling solutions allow for effective and easy transmission of video or voice information along with data transmission, which thereby forms the base of contemporary networking of information. This enables the information to travel effectively from one place to another. 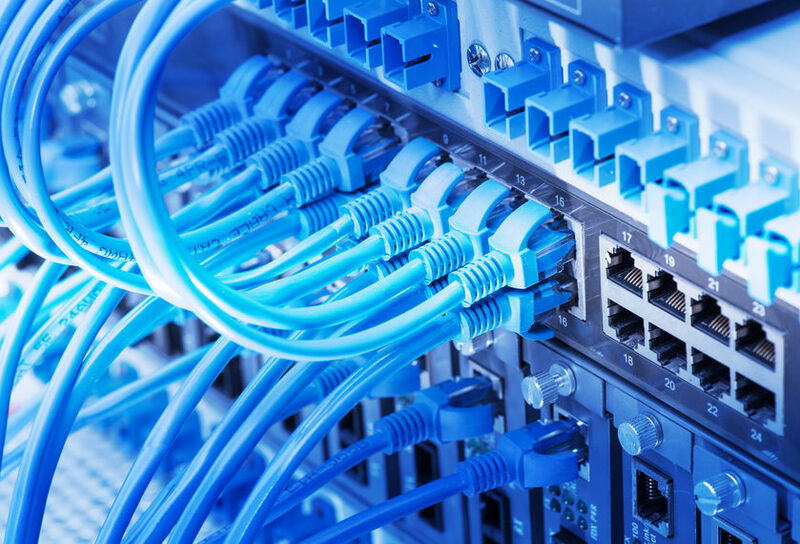 The highly technical processes and systems that are used in the industry today demand a reliable cabling solution that can serve as mediums to execute the operations of the organization. Network Revamping solution of Regard is based on PDCA (Plan, Do, Check, Act ) process and revamping comes under check process , its kind of revisiting the deployed infrastructure and correct the gap after identifying problem during revisit. Regard Network solution is providing such services to their customers and they have specialty in it. GRinfranet solution is providing LAN ( passive component ) AMC services using LAN as a service concept. This concept is purely SLA based model and proving uptime of LAN AMC services using agreed SLA model.